Current affairs of security and defence policy and various sovereignty-related issues. The roles of state and non-state actors in cooperation and conflict; concerns of territorial, political and economic integrity of states and regions; safety and well being of people. This interdisciplinary meeting welcomes presentations of research on security studies, international relations, political science, law, history, economics and cross-border cooperation topics. 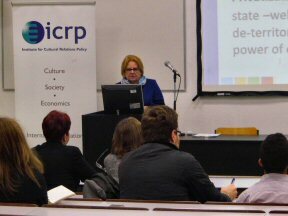 The conference is supported by the Institute for Cultural Relations Policy (ICRP) and Kodolányi János University (KJU). Its aim is to serve as a meeting point to facilitate the public exposure of the perspectives and interests of different communities, governments, international organisations, NGOs, businesses, scholars, thinkers and common citizens. The conference consist of presentations of guest speakers and Q&A sessions. The submitted and confirmed papers will be published online. The main language of the conference is English. Global challenges and regional security; national security and defence policies, military strategies; security organisations; conflict transformation and conflict resolution; cyber security; economic issues; energy security; cross-border crime, counter-terrorism; immigration; self-determination; territorial sovereignty; financial sovereignty; separatism, ethnic minority issues; diaspora policies and interstate relations. 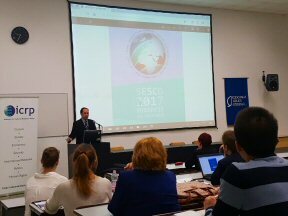 The “Security and sovereignty in the 21st century” (SESCO 2017) international conference was held on the 10th of November 2017. It was organised by the Institute for Cultural Relations Policy (ICRP) in partnership with the Kodolányi János University of Applied Sciences (KJU). 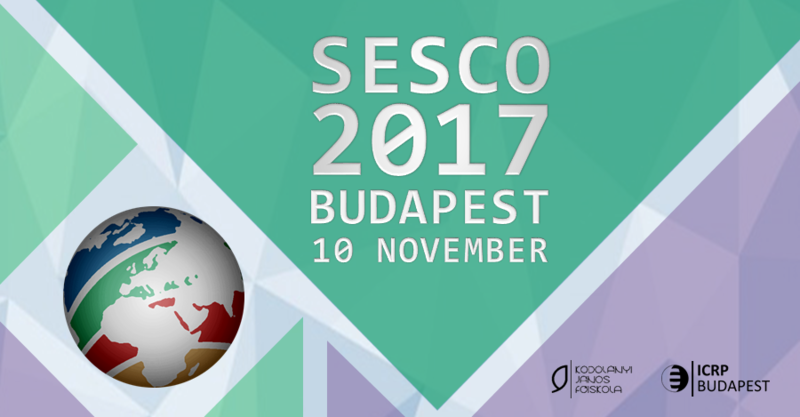 SESCO 2017 was the second annual conference that aims at facilitating the public exposure of important current issues in terms of security and defence policy, as well as, various sovereignty related questions. The conference consisted of three sessions with guest speakers presenting their research papers and Q&A at the end of each sessions. The director and founder of ICRP, András Lőrincz, opened the conference and welcomed its participants and attendees with an emphasis on the continuing importance of the security and sovereignty subject. The first session has started with the presentation by Dr. habil. Gyöngyvér Hervainé Szabó (Kodolányi János University of Applied Sciences) that deeply explored the topic of the European cosmopolitanism and its challenges. She argued that new – cosmopolitan approach – to the international system provides a valuable perspective in analysing the politics of the European Union, which can be perceived as the main battleground of globalisation (cosmopolitanism) and nationalism(s). 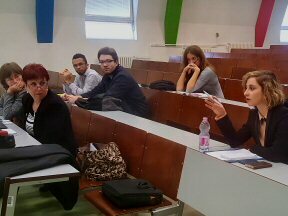 This topic of global perspective was followed by the presentation by Dr. Edit Lőrinczné Bencze (Kodolányi János University of Applied Sciences), who focused on the EU and the regional cooperation between the countries in Southeast Europe. The researcher started with an emphasis on the difficulty in defining the region itself and, consequently, the existence of multiple concepts that contribute to the confusion. Furthermore, the stages and classification of regional cooperation in three main fields have been explored, as well as, providing the investigation of arising obstacles and evaluation of success of various cooperation projects. Ali Sarikaya (University of Pécs) has presented his research on Turkey-Iraqi Kurdistan Regional Government relations within the frame of Syrian Civil War and provided valuable and detailed knowledge about the specifics of the Kurdish people and their continuous efforts to create an independent state of Kurdistan. The second session has started with Tamar Buachidze (Corvinus University Budapest, ICRP), who presented her research about the history and development of the EU’s counter-terrorism strategies. Through the analysis of the most recent terrorist attacks that gained significant attention in the international arena, Tamar Buachidze has investigated the counter-measures to the terrorism that were implemented on the European level, as well as, critically assessed the success of such strategies. The history and development of the special relationship between Germany and France was analysed and presented by Dr. Péter Krisztián Zachar (National University of Public Service). Through a historical approach of German-French relations, the researcher was able to show how opposition between the two countries has been overcome and friendship and cooperation has been developed that became the driving force for the European integration. The final session begun with the presentation about the importance of innovation in cross-border cooperation by Zsuzsanna Wirthné Móricz (Kodolányi János University of Applied Sciences). Through the analysis of multiple various programmes of cooperation in innovation development, the research has emphasised the significance of research and development (R&D) and its connection to the education, economic growth and the improvement of life. The next presentation was delivered by Edina Wittman (National University of Public Service) who introduced the audience to the connection between crime rates and sense of security in Germany. The statistical approach suggestively presented the gap between crime figures and insecurity feeling that has been highly characteristic to the German society in the past few years. The presentation highlighted the fact, that as insecurity increases among German people, especially in older generations, the number of crimes committed also grows resulting in a controversial phenomenon that worth addressing. Veronika Tóth (European Master in Law and Economics, ICRP) made the third presentation of the session, comprehensively presenting the concept of the One Road One Belt initiative. The presentation also discussed the practical aspects of the concept in two countries, namely Hungary and Pakistan. Besides the useful and enlightening information the audience received personal experience from the presenter as well, making the discussion more interactive. The closing presentation was held by Sofia Ylönen (University of Copenhagen). The presentation focused on the challenges in international and domestic prosecutions by analysing the applicability of international criminal law in the IS-invaded territories in Iraq and Syria where the IS is committing international crimes such as genocide, crimes against humanity and war crimes. The presenter provided a possible model for establishment of one regional criminal tribunal, to be set in compliance with two different national legal orders, taking into account of two different ideologies (Western and Islamic). • Tea, coffee and refreshments and lunch will be served during the program. How to register for participation (listeners)? The registration is a two-step procedure and it includes the submission of the online registration form and payment of the listener registration fee (10 EUR*). Deadline of submission & payment: 5 November, 2017. How to apply for paper presentation (speakers)? The application is a two-step procedure and it includes the submission of the online application form and payment of the speaker registration fee (100 EUR*). Deadline of submission: 5 November, 2017. Authors will be notified of acceptance or rejection within 5 working days after submission. The registration fee shall be paid by bank transfer prior to the event OR at the same time as first day registration. Early bird application fee is 50 EUR* for presenters if application is submitted before 15 August 2017! * NOTE that bank transfer fees must be covered by participants. In order to reduce money transfer costs, speakers are entitled to make payment in cash during the registration (original speaker registration fee 100 EUR). Registration fees for the full conference include one copy of conference materials (including booklet of abstracts and conference proceedings that contains all approved papers), and covers the cost of refreshments, and all conference activities, including the walking tours on the last day. These items are not separately priced. Papers are invited on the topics outlined and others falling within the scope of the meeting. The conference fee does not include public transport, international travel and travel related expenses (visa & insurance fee expenses) and accommodation fees. Final schedule of lectures and presentations will be disseminated to participants later. Speaker applications: After submission of speaker application in any case of the participation cancellation until 1 October 2017 the charge 35 EUR (plus bank transfer costs will be extra charge) will be deducted from the participation fee for the administrative charges. In case of participation cancellation after 1 October 2017 the charge will be 100 EUR (bank transfer costs will be extra charge). Listener registration: After submission of online registration in any case of the participation cancellation until 1 October 2017 the charge of bank transfer costs will be deducted from the participation fee for the administrative charges. In case of participation cancellation after 1 October 2017 no refund is possible. Submitted abstracts will be evaluated by an international reviewing committee. • Deadlines for publishing: the abstracts sent upon registration will be included in the Booklet of Abstracts published for the conference. Full papers (or handout in case of lack of full paper) will be included in the conference DVD published for the conference (if paper received by 5 November 2017). The full paper will also published online on the event’s webpage (if paper received by final deadline 31 January 2018). • Co-authors and groups: Please note that in case of group registration and papers with co-authors all registration fees are per person. • Accomodation: The ICRP is ready to suggest first class, mid-range and low budget hotels in Budapest. • Public transport: The ICRP is happy to purchase Budapest transportation ticket upon request. A Budapest 24-hour travelcard costs 6 euros and Budapest 72-hour travel card costs 15 euros. If you would like us to buy any of these travel cards for you please transfer the additional sum (6 or 15 euros) with the participation cost. Please transfer the accommodation and transportation cost together with the participation cost. • In absentia presentations are possible under some conditions. In case of presenting in absentia the abstract of your paper will be included in the Abstracts Booklet. Your full paper will be included in the conference DVD published for the conference (if paper received by 5 November). The full paper will also published online on the event’s webpage (if paper received by 31 January 2018). The attendance certificate can be given only to those who attend the conference, however we can email you a certificate (upon request) showing that your paper was presented “in absentia.” Registration fee for in absentia presentation is 75 EUR (plus international money transfer fee). The deadline for application for in absentia presentation is 5 November 2017. • Language: The conference language is English. No translation services will be available. • Papers are invited on the topics outlined and others falling within the scope of the meeting. Abstracts of no more than 3,000 characters. Abstracts should clearly state the purpose, results and conclusions of the work to be described in the final paper. • 15 minutes for presentation. Q/A session: 10 minutes maximum. • Use Microsoft PowerPoint or Prezi for your presentation. • Author guidelines: Language: British English; Font type and size: Times New Roman – size 12; editable file (.doc, .rtf, .odt); recommended length: 20,000 – 40,000 characters; Harvard Citation System (see: http://libweb.anglia.ac.uk/referencing/harvard.htm). Figures, illustrations, tables are allowed. Address: H-1051, Budapest, Nador utca 16. The Conference venue is located in the heart of the 13rd district, on Frangepán utca. ICRP is happy to purchase Budapest transportation ticket upon request. A Budapest 24-hour travel card costs 6 euros and Budapest 72-hour travel card costs 15 euros. If you would like us to buy any of these travel cards for you please transfer the additional sum (6 or 15 euros) with the participation cost. Please transfer the accommodation and transportation cost together with the participation cost. • tram nr. 14 to Frangepán utca from Lehel tér. • tram nr. 1 to Lehel street and 2 stops from there with tram nr. 14 to Frengepán utca. • take the Metro line 3 to Lehel tér and then tram nr. 14 to Frangepán utca. • take the Metro line 3 to Árpád híd, take 2 stops with tram nr. 1 and then 2 stops with tram nr. 14 to Frangepán utca. • take the Metro line 3 to Gyöngyösi utca, then take 5 stops with bus nr. 105 to Frangepán utca. • bus nr. 105 (from Buda or from Árpád híd metro stop). • 3 minutes from the M3 motorway that leads directly to the Hungaroring and the Eastern part of the country.